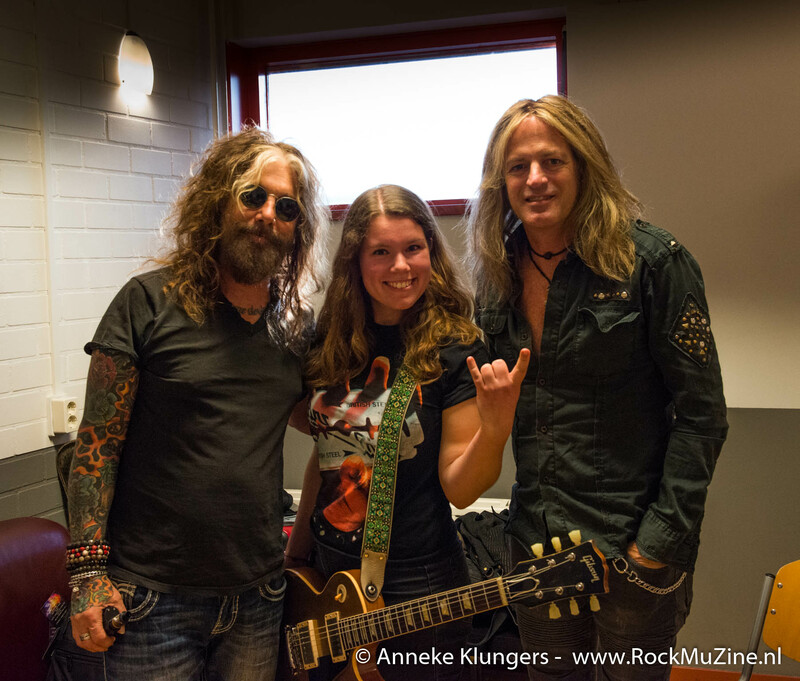 Despite the usual stress before a show and the fact that another meet & greet was planned before the concert as well (with the lucky winners of the RockMuZine contest), the Dead Daisies reserved some of their pre-show time to have a chat with us in the Boerderij in Zoetermeer (Netherlands). 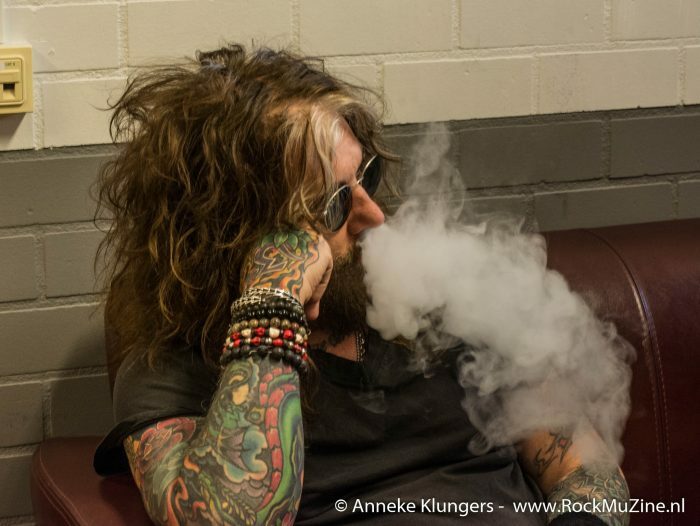 In the dressing room of the venue, John Corabi and Doug Aldrich discussed the new album, life on tour and their program for the rest of the year with Marianne. The promoting plans are not limited to the ‘Live & Louder’ tour. After touring Europe, the Daisies will go to Japan and from there straight to their ‘Dirty Dozen’ concerts in North America. In November they will start recording for yet another new album, so that after the winter, they can resume touring. “Everything for the new album has to be done in those few weeks. It puts a lot of pressure on you, but somehow we’ve always made it happen.” According to plan, everything will be finished before the holidays, and the months after that will be used for promotion so the Daisies will be able to tour again around spring time. The promoting is, according to John, a lot more work than it used to be. “Nowadays, it’s not like it used to be with MTV and radio. U2 and Bruce Springsteen, people like that, they get radio time. Bands like us don’t really have that. We have to promote, because if the fans don’t know the record, they’re just not going to buy it.” Our modern day society has, however, also its benefits; the Dead Daisies Facebook page has reached 400.000 (!) likes, which makes it a lot easier to get the news out, and to get in contact with the fans. Because of the tight schedule, there was unfortunately not enough time to discuss Kierkegaard’s existentialism in depth; Doug and John did take some extra time to praise Holland. “Holland is so beautiful, so different. The way the water divides everything, it’s like Venice, but in its own, special way!”, Doug commends. To which John adds; “And then there’s the beer…”. 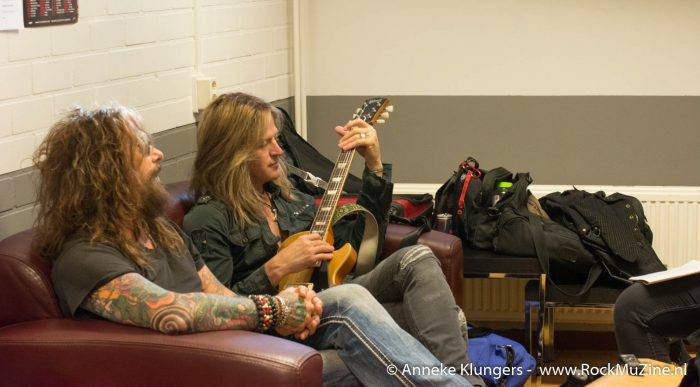 ‘Live and Louder’ is a spontaneous project that enabled the Daisies to record some more covers of their favourite music, and simultaneously provided everyone with an insight of the experience of a Dead Daisies concert. 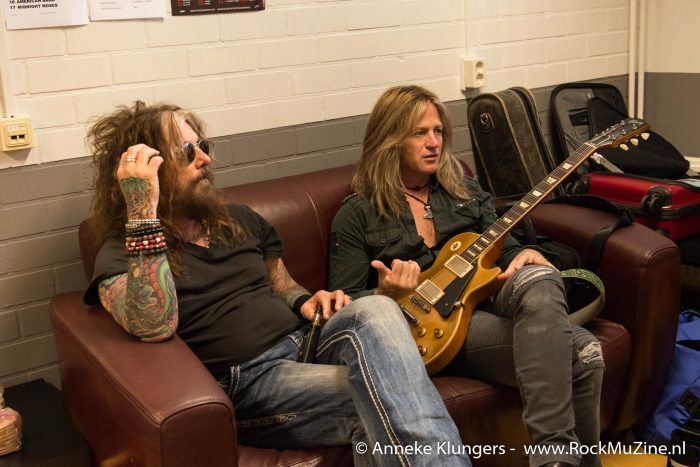 For those who don’t have the album already (but for those who do, too); if you want to experience the real deal, you won’t have to wait long, for the Dead Daisies will soon be back with more rock’n’roll!